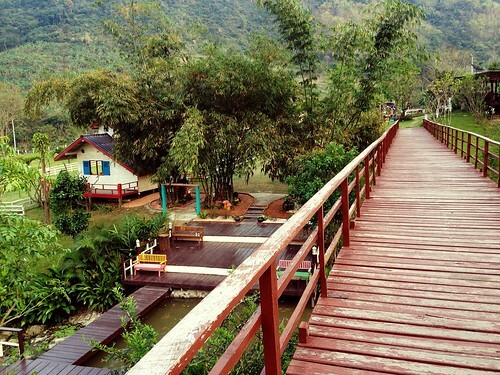 I had a chance to travel to Suan Pheung, a bodering district of Ratchaburi province in Thailand. This district has gradually become quite popular during the past few years. 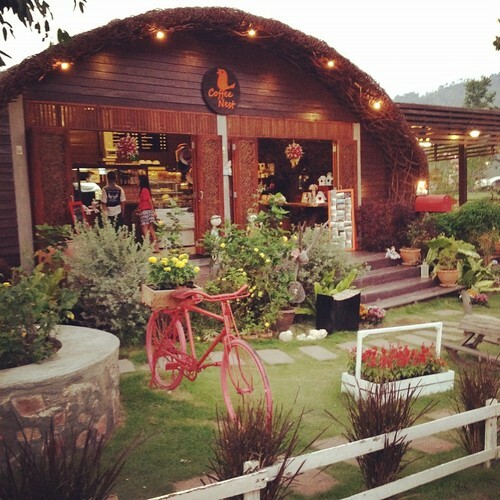 I chose to go to Suan Pheung district because there are many resorts has flocks of sheep as their selling points. 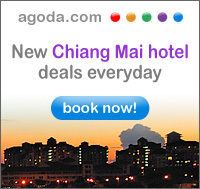 Banyan Leaf Resort is one of them. I tried to book this resort but unfortunately it was fully booked. So, we stopped by anyway to take a look. 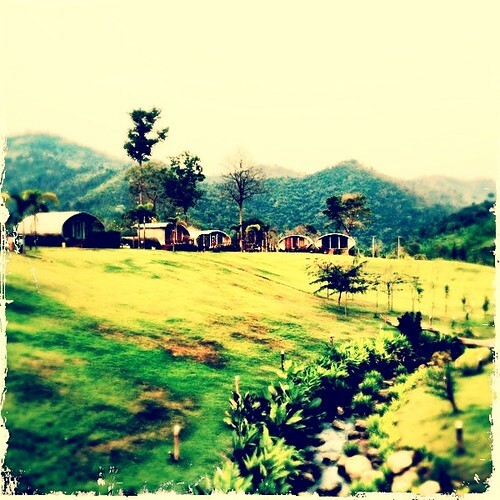 Banyan Leaf Resort is a great place to visit if you want to take photograph with pretty places and cute farm animals. 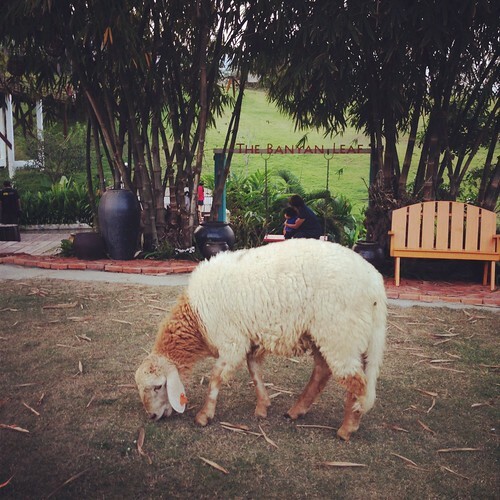 Unlike many other resorts in Suan Pheung district, they do not charge any fee for seeing and feeding their farm animals. Your kids will loves this place. Resort's coffee shop located next to the sheep's fold. My husband enjoyed a cup of coffee while my son was running around exploring the front yard..
My sister at the sheep's fold next to the coffee shop. Some of the sheep were inside the fold but some were allowed to roam free within the area next to the coffee shop. Unfortunately, this cute sheep scared my son off. He actually cried when he saw it. I was so surprised!! This bridge is using for crossing the canal to enter the accommodation area. All accommodations are on the hill. The view from those cottages must be spectacular!